The museum Centro del Carmen is an old convent very close to Home Hostels Valencia. It is situated in the old town of Valencia. The museum is an architectural mixture; it was built to offer a place to refuge for friars of the religious order Santa María del Monte Carmelo. Nowadays, nine centuries later, the Centro del Carmen is an amazing and majestic stage for art exhibitions. The Centro del Carmen has been founded in 1281. In its origins, the old convent was constituted of a church and a few common rooms located around the monastery garden. The garden was built in a gothic style. Later, in the 16th century the convent was growing, they built a second monastery garden, but now in renaissance style. At this time, it was as well the most splendid and prosperous time for the city of Valencia and the Valencian economy. The Gothic and the Renaissance monastery gardens are the main architectural attractions of the old convent. Both represent the spirit of two different historical eras. The visitor of Centro del Carmen lives a voyage through history of art just by passing the entrance door. Moreover, for the neighbours of El Carmen, Carmen Neighbourhood which is centrally located, just in the Valencia City Centre, the gardens are as well a calm place to be: you can enjoy a walk through the shadows freshness from the colonnade, and you will feel like being away in a different world. Therefore it is possible forgetting the big, noisy city behind the antique walls of the old building. The old convent has been declared as a public building in the 19th century. The Spanish government demanded at that time the building from the church, and they converted it to a museum of religious relics, and a part, it is as well the main office of Valencian Art school: Escuela de la Real Academia de Bellas Artes. The decision to reform the building and transform it to a public cultural space was taken not long time ago, at the end of the last century. Therefore, the old rooms where life of monkhood has taken place like the refectory, the main hall or dormitories are now amazing exhibition halls where time seems to be stuck into the walls. 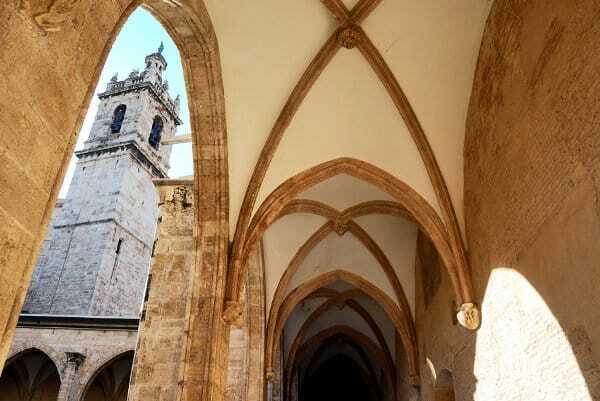 At this time the Centro del Carmen is a polyvalent space that exhibits mainly works of Valencian artists and about the Valencian history of art of the 19th and 20th century. Right now the Centro del Carmen exhibits a temporal sample of one of the most representative Valencian artist: Joaquín Sorolla. Home Hostels Valencia has two vintage and low cost hostels: Home Youth Hostel and Home Backpackers Hostel. They are situated in the neighbourhood of El Carmen, this is one of the most attractive and nightlife area of Valencia City Centre. There is as well the location of the old convent Centro del Carmen. Home Youth Hostel and Home Backpackers Hostel are cheap accommodation; they are centrally located, trendy accommodation for backpackers, university students, Erasmus, funny and curious travellers… Both centrally located hostels offer free in-room lockers, free Internet and WIFI connection, all included in the price. If you are thinking about travelling to Valencia, sunny holidays in Valencia City and besides visiting the Museum Centro del Carmen, book your accommodation at the hostels Home Youth Hostel and Home Backpackers Hostel. They are two options for sleeping cheap with the same services as a Valencia Inn.